Daryl Johnson (Worcester Park, United Kingdom) on 12 December 2017 in Food & Cuisine. Lunch at the lovely Hotel Kazurabashi near the bridge. 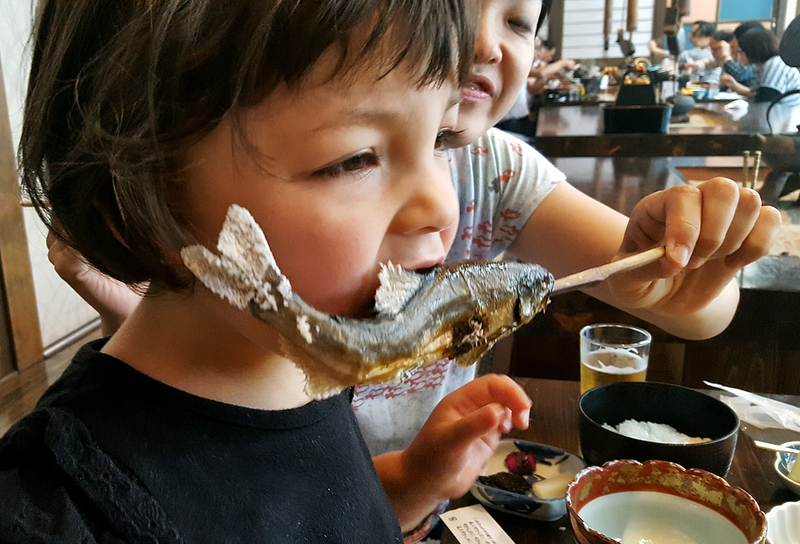 Mia enjoyed the grilled ayu but she did get a mouthful of little bones. That fish still looks capable of biting back ! Similar to the smelt that are caught here. That's a good way to eat them! @Steve Rice: Thanks Steve! You must have tried Ayu...?